West Indies batsman Sunil Ambris, who made his international debut against England earlier this year, has been named in the 15-man national squad for the two-match Test series against New Zealand, beginning December 1 in Wellington. The 24-year-old has been called in the West Indies squad as a replacement for Kyle Hope, the only change in the squad which defeated Zimbabwe 1-0 in the recently-concluded two-match Test series in Bulawayo. Ambris seems to have earned the national call-up in the wake of his consistent performances in the four-dayers against the touring Sri Lanka A side. Ambris, who has appeared in just one ODI for West Indies, smashed two centuries in three first-class games. It should be noted that his hundreds in both the instances came when West Indies A had lost most of their top order and Ambris was left to bat with the tail. 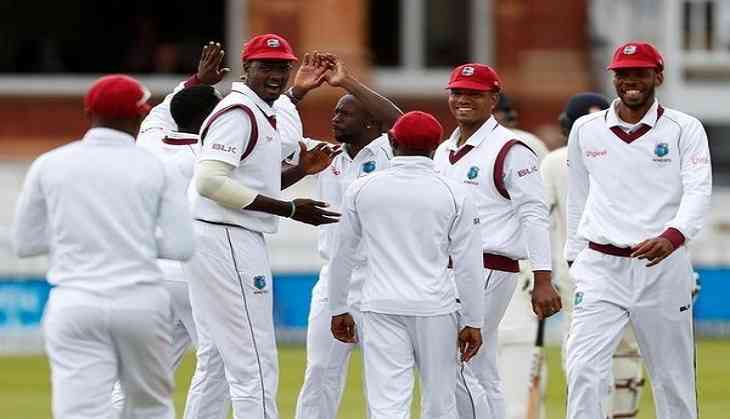 Reflecting on Hope's axing, Courtney Browne, chairman of Cricket West Indies' selection panel, said that the former needs to display strong performances in the ongoing first-class competition if he wants to boost his chances of a recall. "Sunil has replaced Kyle Hope in the squad, and this is on the basis of his consistent performances across formats and his outstanding returns for the Windies 'A' Team in the 'Test' series against Sri Lanka 'A'. This type of consistency is very welcomed by the panel," ESPNcricinfo quoted Browne, as saying. "Kyle is encouraged to return to the first-class championship and turn in the strong performances his talent suggests he can deliver," he added. Browne further said that the team's success in Zimbabwe had propelled the selectors to continue with the almost same side. "It [series win in Zimbabwe] was a strong team effort and highlighted by those players that did not do as well as expected on the recent tour of England, playing critical roles in the team's success. Their success augurs well for the selection process and the philosophy of continuity, which has underpinned our selection for the tour of New Zealand, and not the chopping and changing mentality," Browne said. The Caribbean side will prepare for the New Zealand tour with a training camp until November 21 in Brisbane. They are the slated to play a three-day tour match against New Zealand A in Lincoln, before heading into the two Tests at Basin Reserve. Jason Holder (capt), Kraigg Brathwaite (vice-capt), Sunil Ambris, Devendra Bishoo, Jermaine Blackwood, Roston Chase, Miguel Cummins, Shane Dowrich, Shannon Gabriel, Shimron Hetmyer, Shai Hope, Alzarri Joseph, Kieran Powell, Raymon Reifer, Kemar Roach.